View all Townhouse for sale in Calgary! Townhouses in Calgary are ideal for homeowners who aren’t interested in doing a lot of maintenance on their property. 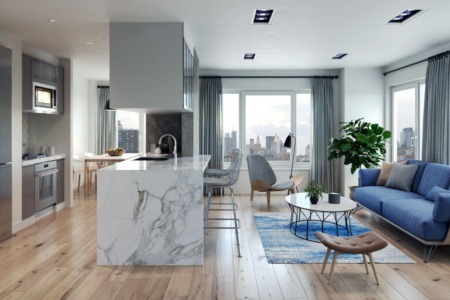 They also offer more space than typical condos and are located in very pedestrian-friendly areas with public transportation near the townhome developments. Townhouses are popular choices for first-time buyers in Calgary who want to own a property for an affordable price. However, other types of buyers are attracted to these homes as well, such as those who may be getting closer to their retirement age or those who live busy lives and don’t necessarily have the time to manage all the things around the house. Whether you’re ready to buy a townhouse right now or are just in the initial stages of considering a purchase, you’ll be glad to learn there are many communities with townhouses available throughout Calgary. Each individual property can differ quite a bit with pricing as well as amenities, which is why it’s so important to know what you want out of a home. By browsing through listings on this website, you’ll be able to see what is available within your price range. However, you’ll also have the opportunity to review listings that perhaps don’t fit your needs, simply to get an idea of what you can expect in different areas. When you view townhouses online you have the advantage of really being able to see what’s out there, from communities that are still in their development phase or to those that are already established and well sought-after. This combined with the expertise of a real estate agent can make finding your townhouse exciting and far less stressful. Calgary townhouses have become incredibly popular throughout all parts of the city, but that’s not without reason. These properties are highly sought after due to the fact that they can be reasonably affordable when compared to single-family homes. They also offer a strong sense of community, they can be new construction units, may require very little maintenance, and offer more space than traditional condos. For these reasons and more it’s easy to see why first-time buyers are so drawn-in, especially for those who want to make a less risky investment when entering into the real estate market. Today there are single professionals, couples, families, and empty-nesters living in Calgary townhouses. With prices ranging from budget-friendly to luxury, there's something for everyone in all parts of this beautiful city. Most communities are even located close to shopping, schools, and restaurants, making it easy to take care of everyday errands without having to spend a lot of time driving. Those who have ever lived in a condo know that it can be bothersome to have neighbours on the floors above and below. With Townhouses, this is a problem that's eliminated. Neighbours are instead located on either side and this tends to lend to far less noise transfer from home to home. Owners are also able to enjoy private outdoor spaces that give their families space to play and have fun. Fortunately, those outdoor spaces require very little maintenance, making taking care of the exterior of a townhouse far easier than it is to take care of a detached home. With prices ranging from $200,000 to the millions, Townhouses are perfect for budget buyers just as much as they are for luxury buyers. This affordability combined with more space and privacy than condos have made these some of the most popular types of homes in the city. More and more buyers search these rather than detached properties, so demand remains high in areas ranging from downtown to the suburbs. By browsing through Calgary townhouse listings online you can see what appeals to your sense of style as well as your budget. If you do see a property that fits your needs, then it’s important to act fast rather than waiting around to see if offers are put in. Some townhouses can see offers within just days of being listed, which can mean missing out if you wait. By working with a real estate agent who is knowledgeable in the townhouse field and has experience buying and selling in it, you’ll get valuable guidance and advice. They will start their service by giving you a tour of the property in person before they help you file the necessary paperwork to make an offer. Overall this will make the process go more smoothly so you can enjoy owning a townhouse just as so many other people in Calgary do.